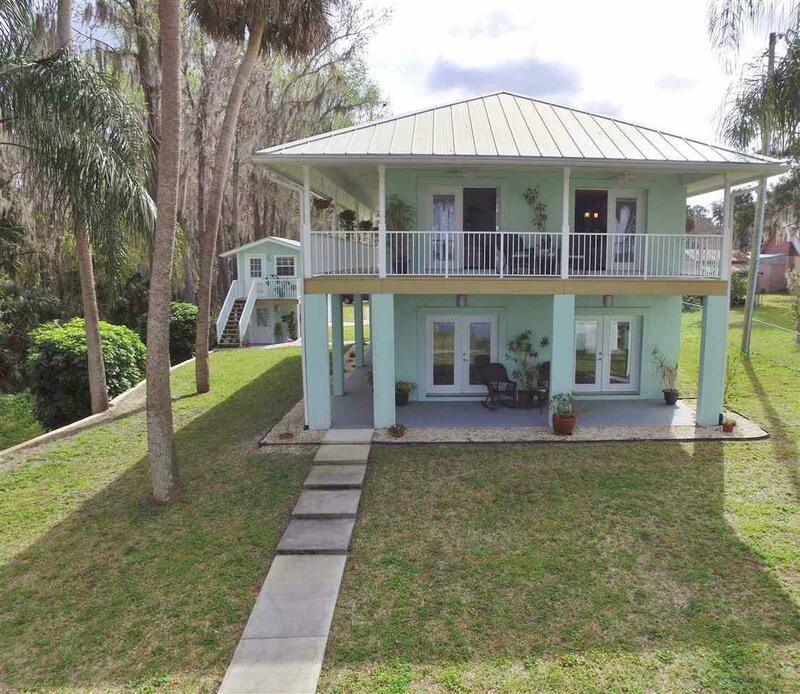 St. Johns Riverfront living doesn't get any better than in this luxury upgraded 2 bedroom, 2 bath high & dry estate with 125' of river frontage, deep water dock w/boat house and lift, plus a separate, 1 bedroom furnished guest cottage, located on almost an acre. Built like Fort Knox, home has poured in place reinforced concrete bond beams. Why vacation when you can hop in your boat any day of the week! Take a sunset cruise, ride out and catch your dinner, catch shrimp off the end of your dock or jump on your jet skis! Walk through the door to see gorgeous Bella tiger wood floors & custom wood steps to 2nd level. Enter the huge riverfront family room with 2 sets of French doors to the back porch. A fully upgraded bath with marble floor is downstairs off the family room. Upstairs you'll be blown away by the beautiful decor of the open plan living/dining kitchen, where the wood floors continue. Two sets of French doors lead from living room to the waterfront balcony. You'll want to spend hours outside just looking out over the water.Any chef would be happy to cook in the streamlined kitchen with plenty of Corian counter space, breakfast bar, glass tile backsplash, stainless appliances, large pantry closet and ambient & pendant lighting. 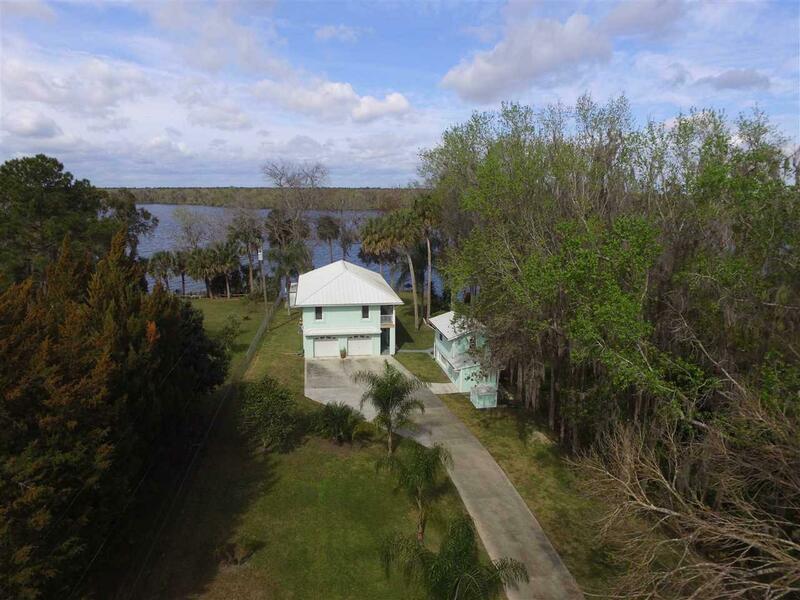 Retreat to the Master suite with two closets and door to wrap around porch, spa-like bath; whirlpool tub, walk-in shower, vessel sink and marble floors. 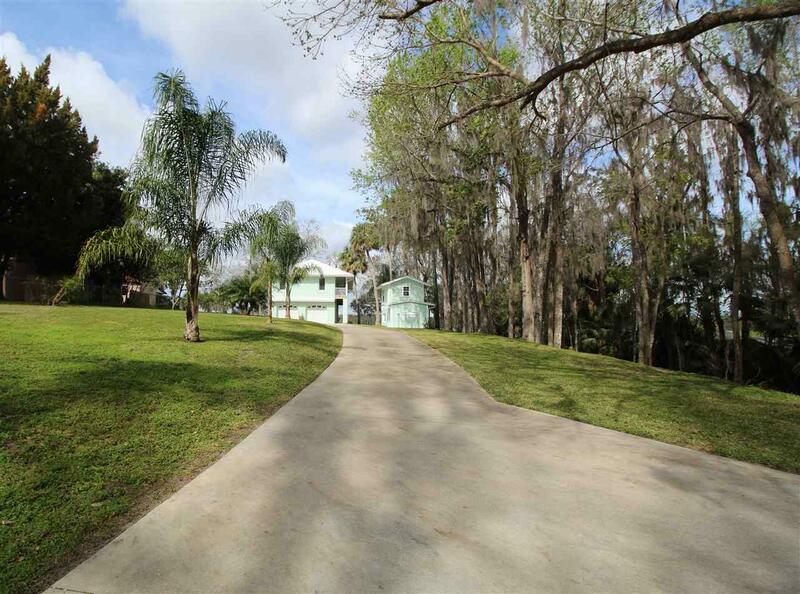 Right outside is a bulkhead with extended dock area (great for fishing), workshop and citrus trees. Cottage would be great for visiting guests or possibly a tenant. It features a full kitchen and includes a full size new washer and dryer. Cooled by 2 window AC units. Extras: Automatic Gate (no rust electric powder coat) upgraded lighting and fans, 3 1/2" wall insulation, insulated floor between 1st & 2nd flr, (keeps your energy cost low), swing out vinyl casement windows, well for sprinkler system, over-sized 2 car garage, termite bond and more. 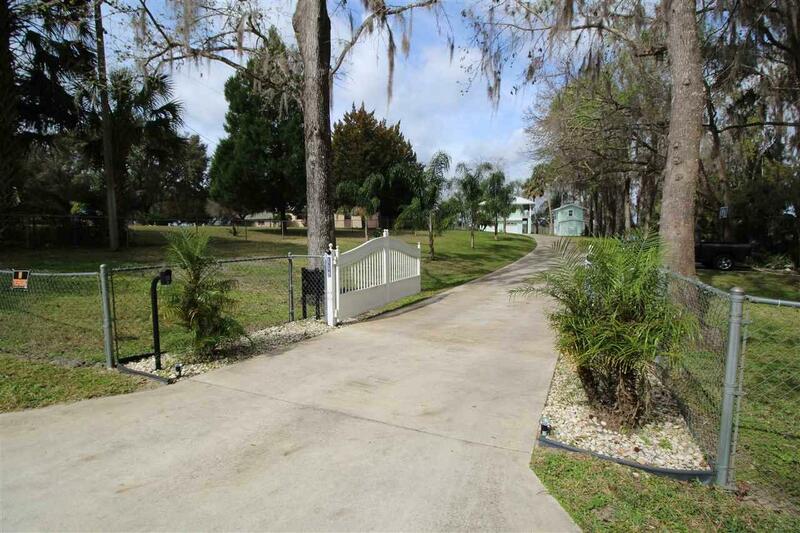 Zoned for 2 SF homes.